- In a roasting pan, add potatoes, celery, carrots, and cauliflower. Sprinkle with 1/2 teaspoon sea salt and 1 tablespoon safflower oil. Cover with foil and roast at 425O F for 30 minutes. - Add 1/2 the roasted vegetables to the blender. Add stock, pistachios, Miso, and watercress to the blender and puree till very smooth. - Put the mixture into a pot and add the rest of the cooked vegetables. - Bring to simmer, but do not boil! - Salt both side of fillet. - Scatter ginger over top of fish. - Drizzle rice wine over the fish and place on heat proof dish for steaming. - Place in steamer and cover, and steam for 10-15 minutes. - Pour water out of the dish. - Drizzle soy sauce over the fish. - Heat toasted sesame oil and olive oil over medium-high heat until they begin to smoke and then pour it carefully over the fish. - Garnish with cilantro and serve immediately. - In one bowl, combine oats, flour, cinnamon, baking powder, baking soda and salt. - In a separate bowl, whisk together maple and oil. - Add carrots and dried fruit to this mix and blend well. - Pour the wet mix over the dry mix and gently combine. Do NOT over-mix or the cookies will be rubbery. - These cookies only bake well if they are small. - Drop 1 teaspoon on an oiled baking sheet, 2 inches apart. - Bake at 375 degrees F for 10 minutes. - Be careful not to overcook these cookies as they burn easily after they are complete. Jamie A. Koufman, M.D., F.A.C.S. is one of the country's leading laryngologists and the Founder and Director of the Voice Institute of New York. 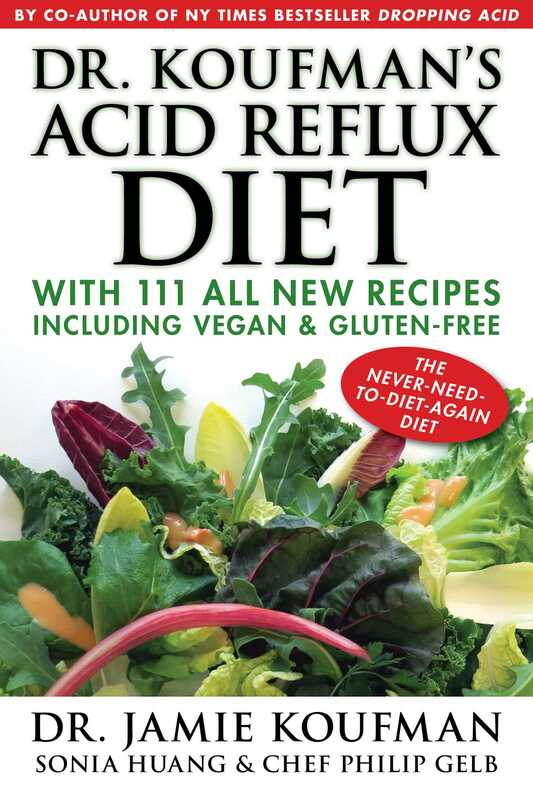 Dr. Koufman is also one of the world's authorities on acid reflux, and was responsible for coining the terms laryngopharyngeal reflux, silent reflux, airway reflux, and respiratory reflux. She is Professor of Otolaryngology at the New York Eye and Ear Infirmary of the Mt. Sinai Medical System. Dr. Koufman has received many honors and awards, including: the Honor Award and the Distinguished Service Awards of the American Academy of Otolaryngology Head and Neck Surgery, the Broyles-Maloney Award of the American Broncho-Esophagological Association, and the Casselberry and Newcomb Awards of the American Laryngological Association. She is a past-president of the American Broncho-Esophagological Association and is currently the president of New York Laryngology Society. Dr. Koufman has been listed among the Top Doctors in America every year since 1994.